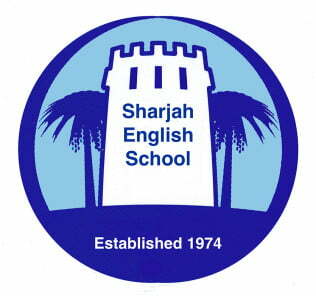 (1) School conducts tests in English, Mathematics and languages, dependent on Grade of entrance. (2) Places across all other phases are limited to where existing children leave the school. Places are filled by merit on the basis of scoring on the admissions test. •	Class sizes are too big. Over-crowding is too strong a word, but GEMS needs to address this. 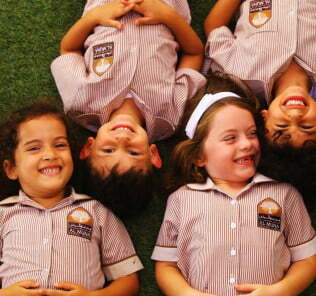 •	A school that has genuine human impacts on its children, academically and whole child, that offers a fabulously rich education and context well beyond that which might reasonably be expected from its fees. Highly recommended. 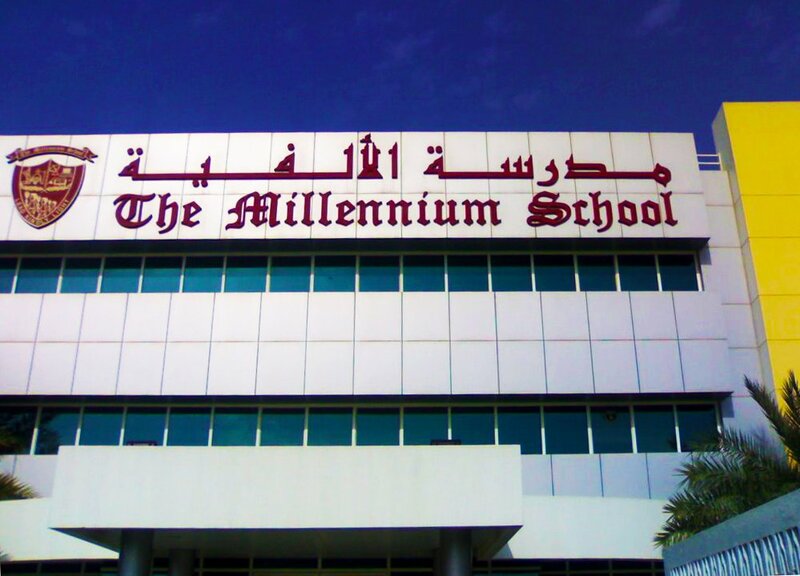 As of 2019, the Millennium School is classified as a “Very Good” with Outstanding features, a rating the school has held consecutively for three years – and following 6 years consistent annual scoring by the KHDA Inspectorate in the “Good” class of schools. Founded in 2000, the Millennium School is an FS1 to Year 12 through school offering a CBSE Indian national curriculum educating Indian children from 4 to 17 years of age. The Millennium School is one of GEMS flagship Indian CBSE curriculum schools and differentiates itself in part on its claimed delivery of a “day-boarding school”, this on the basis, we believe, of its having enhanced extra and co-curricular programmes compared to standard day schools. We view the school’s use of “day boarding” in this context and meaning as somewhat unhelpful and confusing to prospective parents. 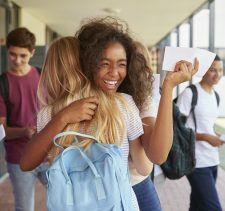 In an international context “day boarding schools” are traditional boarding schools that integrate day students within boarding life to a lesser or greater degree. 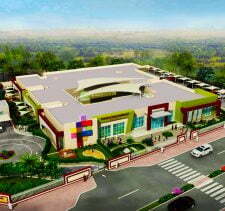 At The Millennium School it is marketing speak for enhanced investment in holistic, whole child education. 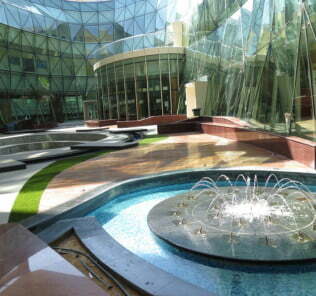 The Millennium School is not a boarding school and has no boarders. Parents are advised to treat the concept, as used by The Millennium School, as a marketing tool to indicate it invests in more than a restrictively academic education for its students. Outside this confusion, there is no question that the Millennium School is an extremely high performing Indian curriculum school. 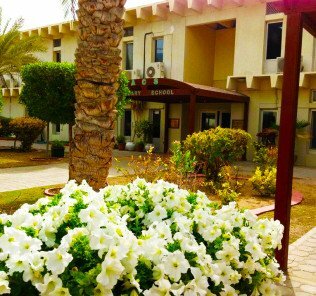 Whilst described as “sufficient” by the KHDA inspectors, facilities at the Millennium School offer very significant breadth for a school operating at this value fee level. 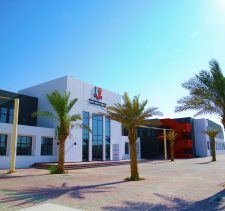 They include a fully digital, Wi-Fi equipped campus; science laboratories by phase and specialism including separate facilities for mathematics, physics, chemistry, food technology and biology; a dedicated robotics lab (which plays a central role in afternoon enrichment programmes); voice lab, laptop pools; three independent ICT labs; music rooms; dedicated dance and movement room; library with ICT and meeting areas, “rumpus room” for Kindergarten students; prayer rooms; Primary “Leaning Corridor” for breakout learning; performing arts centre and studios; school cafeteria; multiple shaded play areas and grounds; a medical centre; and a multi-use theatre and auditorium. 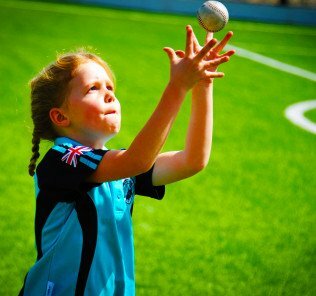 Sporting provision at the Millennium School includes an indoor sports hall; two basketball courts, Primary covered play and sports area; a tennis court, turfed football field and two swimming pools. Don’t expect ‘bells and whistle’, but, this notwithstanding, the foundations are all in place for a very good level of educational provision. The Millennium School operates a very successful House System, dividing children into one of four season-based houses on entering the school: Spring, Summer, Autumn and Winter. Each house has a House Captain appointed annually with further appointments cascaded down to around 300 students who take on various leadership roles in school life. The new School Principal, Ms. Ambika Gulati, took up the reins from Michael Guzder, in April 2017. Mr Guzder remains Eexecutive Principal of the Millennium School and GEMS Vice President of Indian Schools. Principal at Millennium for 15 years since 2001, he is one of GEMS most long-standing Principals and his appointment followed two decade’s experience at the CISCE curriculum Bishops School Pune, a school established in the 1860s to educate the sons of non-commissioned British Indian Army officers, latterly as its Head and Superintendent of Boarding. Ms Gulati moved from DPS Academy where she spent just over 1 year as Principal. This followed more than 15 years at the Sanskriti School and early career experience in banking. Ms Gulati is Cambridge University educated with a Masters in Economics. On the latter, the Millennium School l runs an extremely impressive “Best Buddies” programme which “envisions a world where people with intellectual disabilities are so successfully integrated into our schools, our workplaces and our general communities that our current efforts and services will be unnecessary.” This sees children from various institutions including the Rashid Paediatric Therapy Centre, Manzil Centre for Challenged Individuals and SAATHI attending classes with children from the school each Wednesday. The Millennium School divides education between five phases: KG (FS1-2); Junior School (Grades 1-4); Middle School (Grades 5-8); lower Secondary School (Grades 9-10); and upper secondary school (Grades 11-12). KG provision is experiential-play based and gains an unqualified “Outstanding” rating from KHDA inspectors. Thereafter the school follows the international variant of the CBSE syllabus – which arguably has a more investigative, academic edge than the standard CBSE. 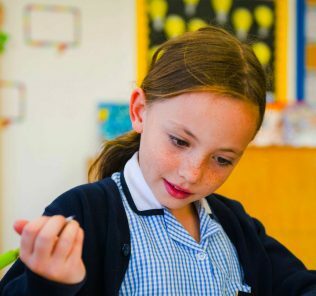 Junior School provision at the Millennium School sets up academic foundations, but combines with the ECA programme to provide a holistic edge to early stage learning. Subject provision has “stretch” including a choice of French; Malayam; or Hindi; English; Mathematics; Science; Environment; Science; UAE Social Studies; Arabic; Islamic Education; Life Skills; Performing Arts; Visual Arts; Computer Studies; and Physical Education [PE]. 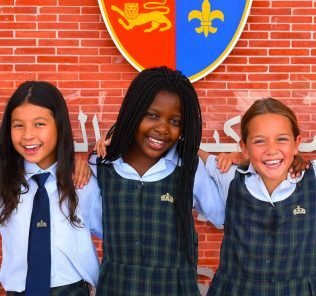 Middle School at the Millennium School builds capacity and pace in the same subjects, but with enhanced options for Extra Curricular Activity. Lower secondary school focuses on preparing children for the All India Secondary School Examination conducted by the Central Board of Secondary Education, Delhi at the end of Grade 10. A further programme, Social Empowerment through Work and Action and research (SEWA), is introduced into the curriculum. Senior Secondary School provision at the Millennium School, as above, differentiates itself from the majority of other Indian schools in providing three streams, rarely including a Humanities option as well as the usual Business and Science geared streams. The whole approach at this level is career focused, but also geared towards extending research capability for students seeking to progress to University. Subjects align with the Plus Two stage in the 10+2 pattern of education leading to the All India Senior School Certificate Examination. Science stream subjects include Mathematics; Physical Education or Home Science and Fine Arts; Physics; Chemistry; and a choice of Biology, Computer Science or Economics. Commerce Stream subject provision includes Mathematics; Physical Education or Home Science; Accountancy or Entrepreneurship; Business Studies; and Economics. Finally, humanities provision includes Mathematics; Physical Education or Home Science; Art; Psychology; Entrepreneurship; and economics. Somewhat archaically only boys can study Physical Education and only girls can study Home Science and Fine Arts, although this is balanced, for the school at least, by ECA and co-curricular weaving of Physical & Health Education, Art Education and Music into the broader curriculum. English is taught as a core subject – impressively, unlike a significant number of Indian schools, English remains part of the curriculum rather than being dropped at post-16 phases. Throughout the school, musical ability is nurtured. Specialised education, for example, is provided for students who opt for electronic keyboard and theory of music, this taught under the syllabus of Trinity College of Music, London. Extra-curricular activities [ECAs] at the Millennium School include Aerobics; Athletics; Gymnastics; Karate; Volleyball; Basketball; Throwball; Cricket; Table Tennis; Tennis; Badminton; Swimming; Aerobics; Yoga; Art & Craft Club, Clay Modelling Club, Design Appreciation Club, “Computronix” Club; Robotics Club; Modern Dance Club; Science Club; Elocution; Quiz Club; Creative Writing Club; Debating Society; Dramatics; French Club; Instrumental Music; and a broad spectrum of community engagement programmes and school events. The Millennium School’s “Afternoon Self Enhancement Programme” and dedicated “Prep Sessions” provide a focus for ECA enrichment and the foundations of the “day-boarding” feel the school aims for – see above. 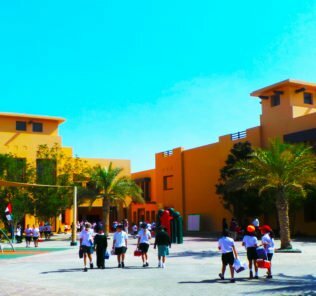 Whilst scholarship provision is not directly advertised by the the Millennium School, GEMS has now committed to provide its support to the HH Sheikh Mohammed bin Rashid Al Maktoum Dubai Awqaf & Endowment vision by offering four percent of all school seats to students who are unable to pay fees. In a school the size of Millennium School this amounts to places for over 100 children and prospective parents facing financial difficulty are encouraged to approach the school at the time of their application. 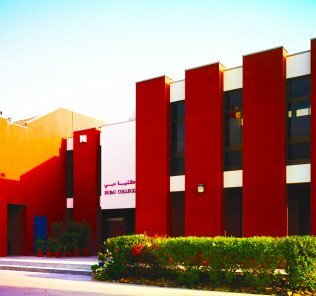 The Millennium School is a very high performing school that scores at the highest “Outstanding” level of KHDA assessment in 63% of its scoring areas covering the school as a whole and 50% of its core child-focused academic and whole child learning area categories. 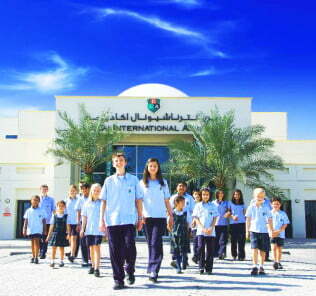 In all these areas it is achieving in the same class as the best schools in the emirates. The only weaker “Acceptable” areas identified by the KHDA lie in Arabic language provision, a very difficult subject area for all Non-Arabic schools (and many Arabic schools too). The elephant in the room – something has to give, is class size. These stretch to 34 children. This is simply too many and above KHDA expectation of 26 children. Teacher-student ratios run to 1:17. It’s unclear what GEMS can do about this given the need for the school, intense demand and the bigger picture that it is delivering at an outstanding level for children. But it does need to do something.…. 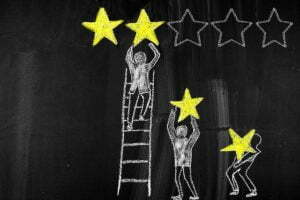 Independent feedback to our sister site, WhichSchoolAdvisor.com has been uniformly positive and outstanding for teaching staff. That the Millennium School is achieving all that it does within a value fee structure – and in a school that is wholly inclusive, and celebratory of children of all abilities and disabilities is a real achievement.